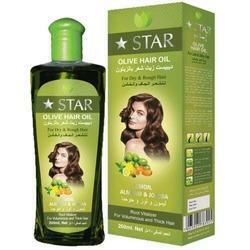 The best quality of Anti Dandruff Hair Oil is offered by us to clients at most reasonable prices. Anti Dandruff Hair Oil is extensively used to massage your hair regularly. The offered Anti Dandruff Hair Oil is highly effective in nature and available in market in safe packaging in order to maintain their longer shelf life. Customers can avail from us a premium range of Herbal Anti Dandruff Oil, so we are offering this product in bulk. APPLY BEFORE GOING BED. EXCELLENT FOR DANDRFF. Flake Clear : For Dandruff. How to use : Apply on the scalp before sleeping. Can be washed off next morning. Nari Pushpa is a natural hair oil treatment that prevents excessive hair-fall and removes dandruff naturally. Nari Pushpa is purely herbal, completely safe and most effective hair fall remedy available today. Conditions and improves manageability. Imrpoves dryness condition and dandruff. Use regularly for better results. Keeps hair and scalp healthy. RubDruff Hair Oil is useful in Scaling, Itching scalp, Hair fall due to dandruff weather it is oily or scaly. Use RubDruff Hair Oil Specially For Below Listed Problem. Yeah it’s best remedy for that.